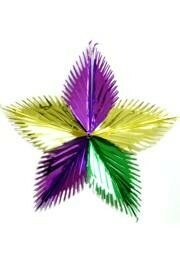 A purple, green, and gold leaf starburst. 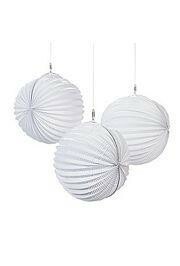 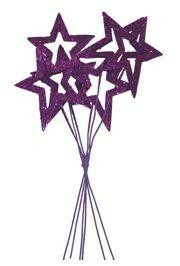 This measures 16 inches and is a hanging decoration. 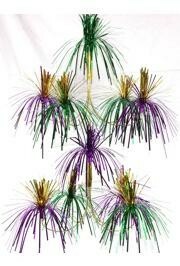 These are perfect for decorating parties and parade floats. 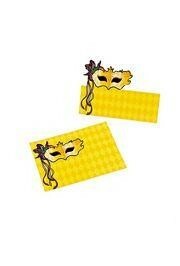 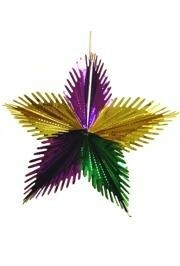 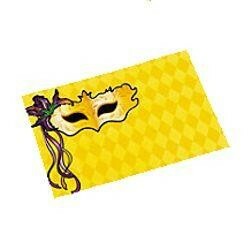 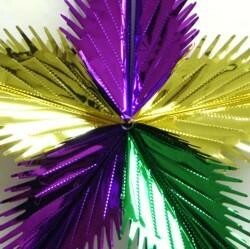 The purple, green, and gold foil leaf starburst is perfect for decorating Mardi Gras parties and events. 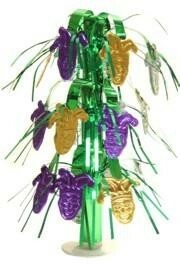 They can even be used to decorate Mardi Gras floats! 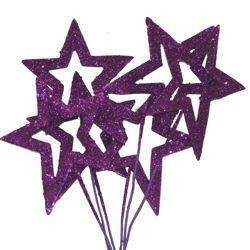 These glittered purple star picks are perfect for customizing table centerpieces. 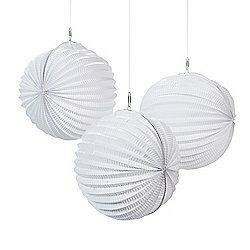 Add to a vase with glass rocks or stick them in floral Styrofoam blocks. 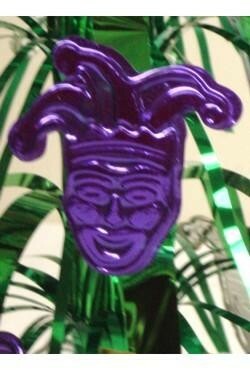 A mini green fountain centerpiece with cascading purple and gold jester faces. 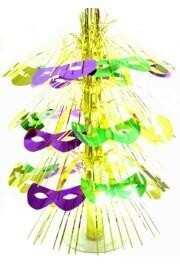 These are great for decorating parties and parades.